Tooth loss remains a common problem despite several advancements in dentistry. In fact, 120 million Americans are missing at least one tooth. 15 million people in the U.S. have chosen a fixed bridge to fill the space of 1 to 3 consecutive missing teeth because it is affordable and convenient. Unfortunately, they only last for about 5 years. 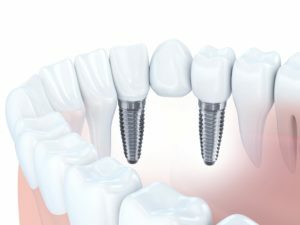 When your bridge starts to fail, you could choose to have it replaced, or you can enjoy the next best thing to your real teeth with dental implants in Bowie. You can invest in your smile using a solution that can last for several decades. Start Summer Right with Your Cosmetic Dentist in Bowie, MD! Vacations always come with their fair share of photos to remember your favorite moments. Of course, would you really want to remember these moments with pictures of you giving tight-lipped smiles or even worse, avoiding photos altogether? With treatments from your cosmetic dentist in Bowie, MD, you don’t have to settle for skipping photos. Remember your summer while smiling! Here are three cosmetic dental treatments that can give your smile the boost it needs this summer! Comments Off on Start Summer Right with Your Cosmetic Dentist in Bowie, MD! A Dentist in Bowie MD Explains the Right Way to Brush and Floss! 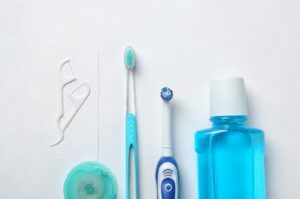 If you’ve ever wondered if brushing and flossing really makes a difference, check out this statistic: People with good oral hygiene have an estimated 1,000 to 100,000 bacteria on each tooth. People without good hygiene have between 100 million and 1 billion bacteria on every tooth. That’s a big difference! As any dentist in Bowie, MD will tell you, these bacteria are responsible for cavities, bad breath and gum disease, so patients with good habits need a lot less dental work than those who don’t! 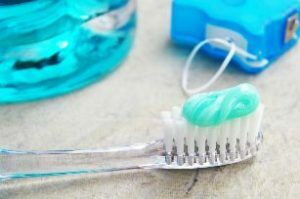 In this blog, we’ll focus on the best way to brush and floss so you can be as effective as possible. Keep reading to learn more! Comments Off on A Dentist in Bowie MD Explains the Right Way to Brush and Floss! So, you’ve just gotten your brand-new dentures made. You can smile again and eat a ton of foods you weren’t able to before. 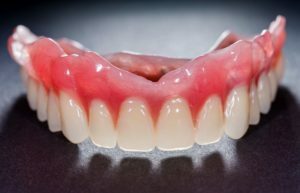 While your dentures in Bowie will last a long time before needing a refitting or replacement, you can extend their life by taking the right steps in proper denture care. These steps are simple, so you just need to stay diligent and do them every day. Making these steps part of your daily routine will make your dentures last for years longer! Here’s how you can get started. 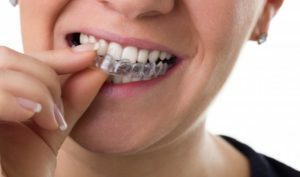 Is Invisalign in Bowie Really Worth the Cost? You’re a budget-conscious person. You’re always comparing prices, looking for good deals, and using clever little hacks to save a few dollars here and there. Thriftiness is a great quality, and we applaud you for your money management skills. But we hope your talent for saving money doesn’t go too far — it should never cause you to sacrifice what’s best for your oral health. Admittedly, Invisalign in Bowie isn’t a low-dollar investment, but we can assure you that it is worth every penny. Let’s talk about some of the priceless benefits this treatment can deliver. 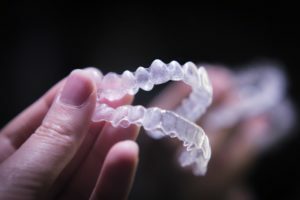 Comments Off on Is Invisalign in Bowie Really Worth the Cost? 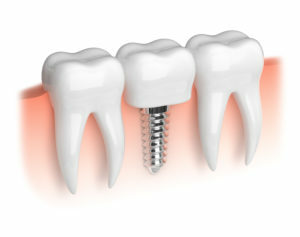 Dental implants in Bowie are known for having an extremely high success rate. However, it’s not impossible for them to fail or come loose for one reason or another. It could happen if a patient doesn’t take proper care of them or if they are a chronic smoker. It could also happen because of an injury. Regardless of the reason, it’s not something you can fix on your own, nor is it something you should be putting off. To start, you’ll need to confirm if the implant is loose before visiting your dentist. 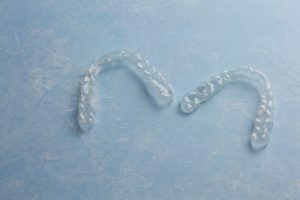 While it is extremely unlikely, it is possible for people to have an allergic reaction to Invisalign’s clear aligners. How is this? It’s because of the plastic that clear aligners are made out of. In order to keep her patients safe, your dentist is writing about the possible triggers to look out for and how serious they can get when they occur. 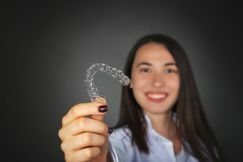 As much as she would like for you to get a straighter smile with Invisalign in Bowie, it’s not worth it if it means putting you through unnecessary trauma. The next time you visit your dentist, ask her about the test used to confirm a plastic allergy before investing in clear aligners.